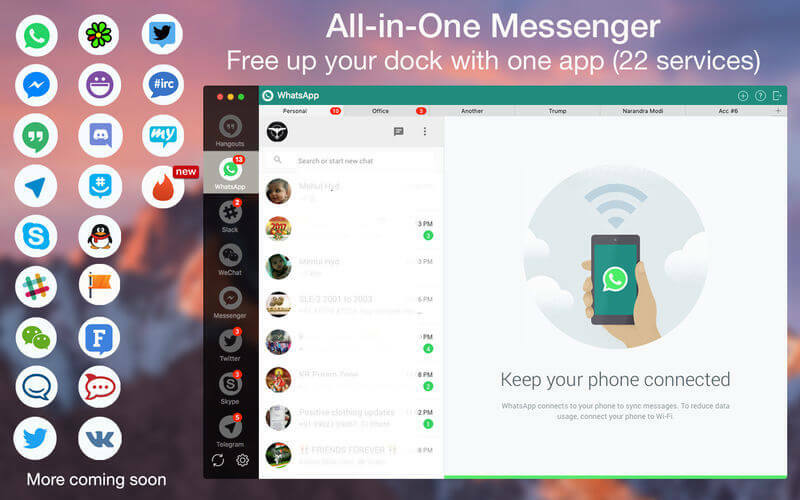 WhatsApp, Facebook Messenger, Hangouts, Telegram, Skype, Slack, WeChat and HipChat. 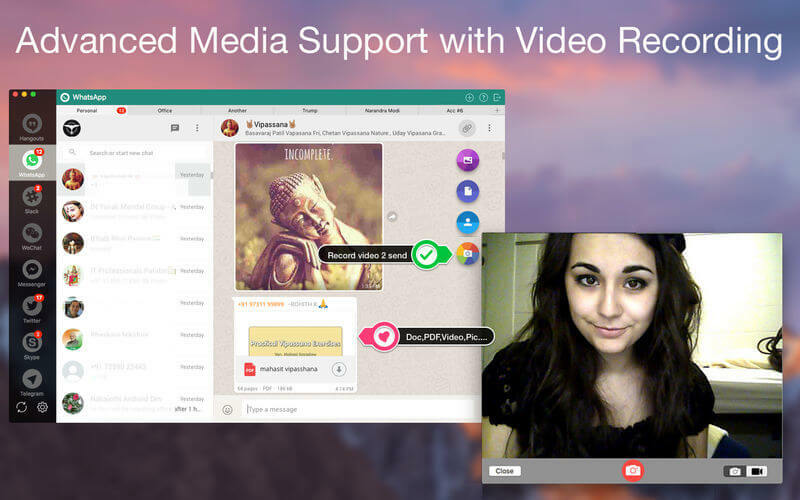 Send and receive Photos, Videos, doc, PDF..etc directly from your PC. Get respective Notifications alerts and reply from the same. Customise notification as per your requirement. 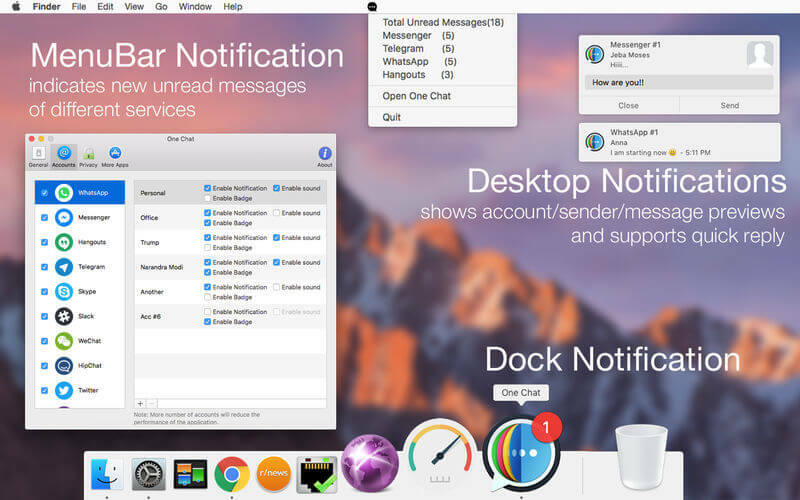 Check if there are any unread messages, right in the menu bar. Go Full-screen! Chat with your friends distraction free on the full screen mode. Light weight which consumes minimum system memory about 70% low. One app for all messengers. Using multiple chat accounts for same service. One Chat does not read anything you type, send or receive! It does not even store any of your login credentials anywhere. Each messenger lives in its own tab, which can not be accessed by other messengers. One Chat is a third party App. The developer of this software is not affiliated with Whatsapp Inc. Facebook inc. Telegram Inc. Slack Inc. Skype Inc. Google Inc. Atlassian Inc. Tencent Inc. in any way.